18-Song Collection Spans Nearly 30 Years, Touches on Nine of Wilson's Solo Albums and Includes Two Previously Unreleased Tracks. CD, Vinyl, and Digital Versions Will Be Available from Rhino on September 22. Los Angeles, California —June 20, 2017 — Brian Wilson's eponymous solo debut for Sire in 1988 launched an extended period of renewal for the iconic Beach Boys songwriter. Rhino revisits Wilson's solo career with a new 18-song collection that mixes studio and live recordings with two previously unreleased tracks: “Run James Run,” a new song Wilson wrote and recorded for this collection, and “Some Sweet Day,” an unreleased gem he wrote with Andy Paley in the early 1990s for an unfinished recording project. 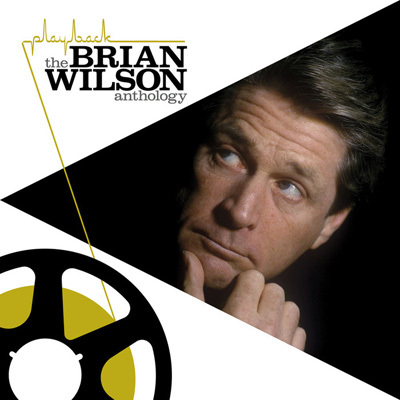 Playback: The Brian Wilson Anthology covers more than 30 years of music with selections from nine of Wilson's solo albums and will be released September 22 on CD, double-LP, on digital download, and streaming services. Tickets are also available now to see Wilson perform live as he continues the Pet Sounds 50th Anniversary Final Performances World Tour, which was recently extended due to overwhelming demand. The collection opens with “Love and Mercy,” one of the four songs on Playback taken from Wilson's self-titled debut. The song has become one of Wilson's most beloved classics, a regular closer to his live concerts, and was adopted as the title of the acclaimed 2015 biopic that saw the Beach Boy memorably played by both Paul Dano and John Cusack. Tucked in with these studio classics are two live performances from Wilson's 2000 concert recording, Live at the Roxy Theatre. Included here are “The First Time” and “This Isn't Love,” a charming collaboration with Wilson's Pet Sounds lyricist Tony Asher. Playback: The Brian Wilson Anthology includes a selection of classic photos from throughout Wilson's solo career, in addition to a candid shot taken in the studio in 2017 during the recording of “Run James Run.” The album also includes liner notes by David Wild, and features a previously unseen picture of Wilson on the front cover, taken by legendary rock photographer Robert Matheu.